It's free, simple, and made for artists. Sign up, submit your designs, and start making money. Welcome to the Card Isle community! By clicking Sign Me Up, you agree to our Terms, Data Policy, and Cookies Policy. Get your name and artwork in front of hundreds of potential clients through our kiosks and printed cards. 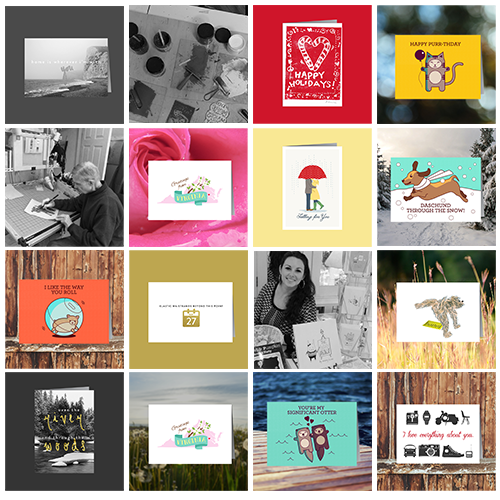 Every quarter, receive your earnings for all of the cards printed with your design. We pay you 4% every time your design is printed. Track views and prints with our online artist portal. We won’t hold you down. Add and remove your designs whenever you want to. See Card Isle Submission Contract here. Your designs are printed on 80lb 5x7 stock from high resolution ink jet printers for the best quality results. Want to see for yourself? Just ask and we’ll send you a sample.